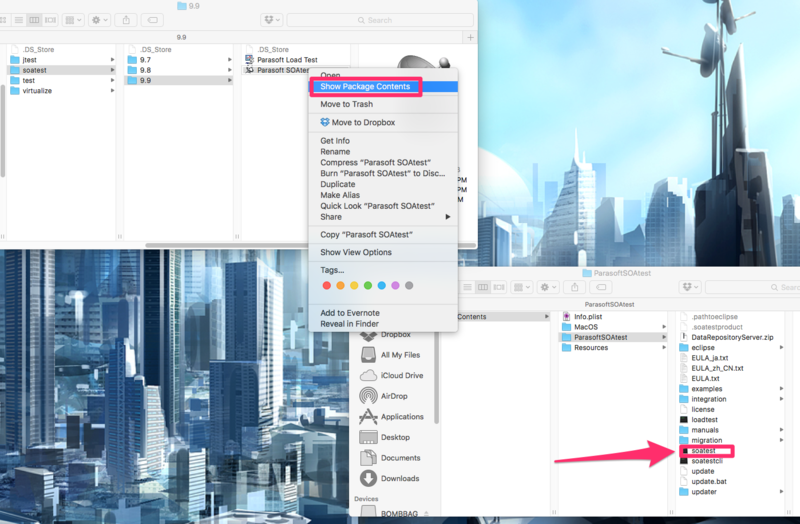 On Eclipse 4.5 (which comes with SOAtest 9.9) and Mac OS X 10.11, there is a known issue with the workspace launcher freezing (becoming unresponsive) when Virtualize or SOAtest opens up. The workspace launcher is shown but is unresponsive even after clicking on the buttons to select a workspace. You are forced to close SOAtest or Virtualize. If you are not able to see the SOAtest or Virtualize launcher script, right click on the application and chose "Show Package Contents". 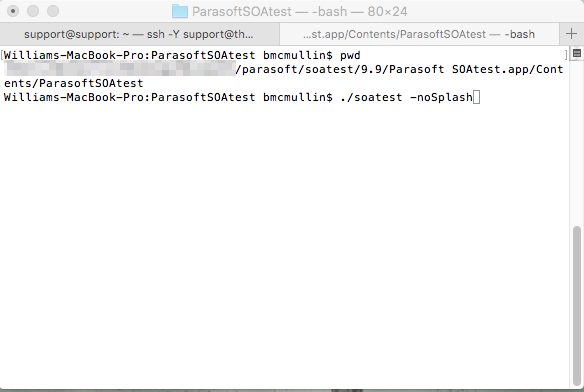 From there, click on "Contents -> Parasoft(SOAtest/Virtualize)" and the launcher script will be located in the directory. Please note that if you are using Mac OS 10.12 and SOAtest/Virtualize 9.9 or older then you will need to upgrade to SOAtest/Virtualize 9.10 because Eclipse 4.5 does not support Mac OS 10.12 and SOAtest/Virtualize 9.10 ships with Eclipse 4.6, which does. I had tried with the above mentioned steps but it has not worked. What version of SOAtest/Virtualize are you using, and what version of Mac OS? And what version of Java?